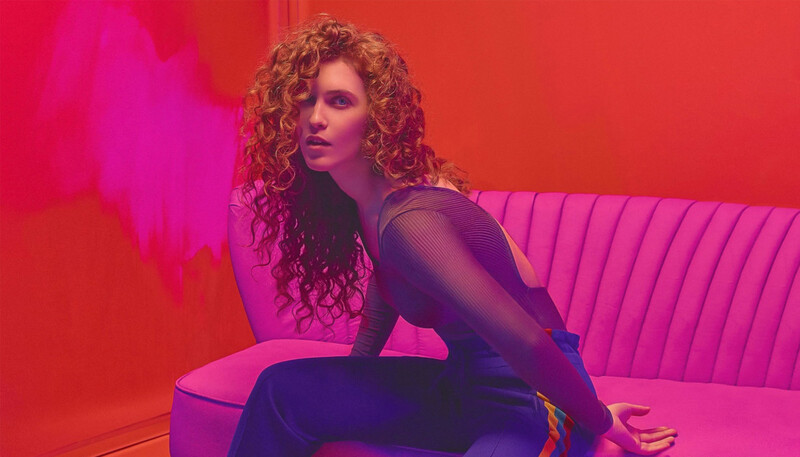 While Rae Morris’ debut album erred on the side of folky ballads, the follow-up finds her embracing bright electronic pop with glorious results. Here, the Blackpool-born singer-songwriter discusses falling in love, finding her voice and creating her superb second album, Someone Out There. No, actually. I was so ready for it, and felt completely free not having to actually find ways to reinvent songs that had been written four years ago on the piano, which was something that happened on the first album. It was quite difficult to find a home for music that had been written over quite a long period of time. Whereas this was like, ok, let’s just do everything and anything, only making things that feel fun and exciting and new and interesting. I really felt like there were no restrictions and no boundaries, which was really freeing and super exciting. That’s right. I met Ben [Garrett, AKA Fryars] via my A&R, and we wrote a song called ‘Grow’ together on the first record. We actually didn’t collaborate that much on the first record – just squeezing in a few moments here and there – and in terms of writing we only did one other song, ‘Cold’ together. And, yeah, he became one of my greatest friends so then when it came to making the second album my priority was to hold Fryars down and get some time with him because it felt like the most natural way of collaborating. So, yeah, it just formed into a really beautiful thing that I’m very happy with. I didn’t say, “This is the shift I’m gonna make,” at the very beginning. Actually, for the first couple of months I started writing what I thought were massive pop songs – even more commercially pop than the ones that have ended up on the album, like ‘Do It’ and ‘Atletico’. I naturally went in a very, very pop direction, which was really liberating and completely fun. But sonically, it was really important to me to remain alternative-electronic, a bit gritty and heartfelt and emotional in the melodies. And production-wise it was important that nothing was there unless it was really, really bringing something to the party. So even though it’s quite full-sounding – and that brings the energy – everything is very carefully chosen and crafted to make you feel something. Can you tell us about the song ‘Rose Garden’? It sounds like it has a story behind it. Can you tell us about the significance of the song ‘Someone Out There’, and why it resonated as a banner for the album? It’s not about me, the song ‘Someone Out There’, and that’s why I wanted it to be the album title. It’s very much a song for other people rather than for myself or my own situation. It’s about the idea that there is someone out there for everyone, as clichéd as that sounds, and that you might find them in the most unsuspecting place. Yeah, it is a love song and it is a classic ballad in that way but it’s just very simple. It’s about finding that connection with someone and cherishing it.